When listening to New Age music, the multiple genres and subgenres of World, Ambient, Contemporary, Instrumental, Chill Out, and Groove in most cases are heard from one album to another. Today I have a chance to tell you about a novel new release that explores the multitude of influences I have listed throughout the entire album. 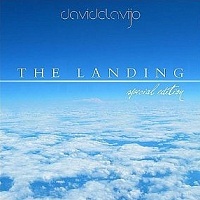 The Landing ( Special Edition ) is polarizing by this fine balancing act of multiple influences and is a wonderful feat of artistry from beginning to end, plus The Landing in original form with 6 songs has achieved worldwide airplay while catching the attention of not just the buying public, but some music retailers too after landing directly onto their best sellers section. David Clavijo from Seville Spain seems to have a natural inclination of what multi influential New Age music is all about and I felt his performance on acoustic & electric guitars along with piano & keyboards are a fine line balance that blends together quite nicely by having these diverse instrumental strengths. The compositions of David Clavijo likewise have universal appeal after featuring in television commercials, soundtracks, festivals and numerous cultural events held in Spain. In addition, his music has acquired a global audience by extensive radio airtime having also collaborated with many international labels in the Ambient & Chill Out categories, so there are additional compilation projects that feature his original scores. The Landing ( Special Edition ) has 10 songs and is a natural acquisition for those who like lively instrumentals with wonderful upbeat rhythms since every songs carries at least a moderate or upper tempo with liberal percussion accents. Another point of interest is almost every song exhibits piano and electric guitar harmonies with appealing vocals which nicely enhance the instrumental music environment. Dancing on the Moon features some beautiful orchestration for the very beginning song, where piano, oboe and violin weave a bold and dynamic theme into a colorful interblending that instills a cosmopolitan touch of class. Light soprano vocals with excluded lyrics also regulate this effect on several songs like Distant Love, where electric guitar runs revolve into a memorable Rock styled rendition that is in direct contrast with a lighter piano melody. One sensational method of exploration is the usage of upper register notes on piano which inscribes a lighter perspective while comingling the stronger melodic guitar runs and deeper tenor vocals. Es Vedra likewise paired mid register piano notes with upper range octaves backed by guitar runs and deeper tenor vocals, making an admirable blend by this interchange. Sailing in my Dreams projects a more mysterious presence given the deeper keyboards and piano melody accents suspended in moderate timing by bass percussion. 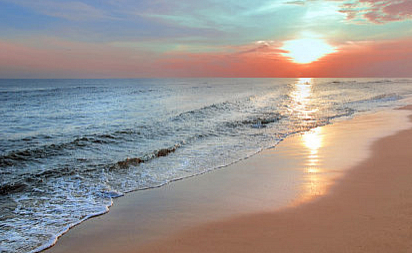 The longest song Nowhere gives a wonderful mood to relax with by the lighter arrangement. The World influences in African Spirit are moving by an ethnic choir of children vocals set to a nice percussion rhythm and turns out to be a pretty colorful song. Las Dunas is the first of 4 new bonus songs added to the original The Landing lineup and like most songs, carries an upbeat tempo and has a modern groove feel with soprano vocals backed by saxophone and guitar. East Winds has a far reaching atmosphere by long extended electric guitar long notes, where Uttara Kanda blends exotic influences from the lands of India and with indigenous percussion, brings a spice of life presence into the picture. Promises with an orchestra blend is the last song on The Landing ( Special Edition ) and while the Original album was indeed a success, this latest release with the 4 bonus tracks holds even greater expectations for this promising new multi influential release that really is quite special. Visit davidclavijo.com to sample / purchase or at his CDBaby.com page and major retail outlets. Learn more about David Clavijo at his website profile page. Connect with David Clavijo on his social network sites MySpace page & FaceBook page. Picture copyright BigStockPhoto – Copestello.